Experience the physical, mental, and social health benefits of nature first-hand when you join Healthy Parks Healthy People: Bay Area and the Institute at the Golden Gate in celebrating the second annual Park Prescription Day on Sunday, April 23. National Park Prescription Day is celebrated across the United States to promote the growing movement of doctors and healthcare providers prescribing parks and nature to patients to improve health and wellbeing. 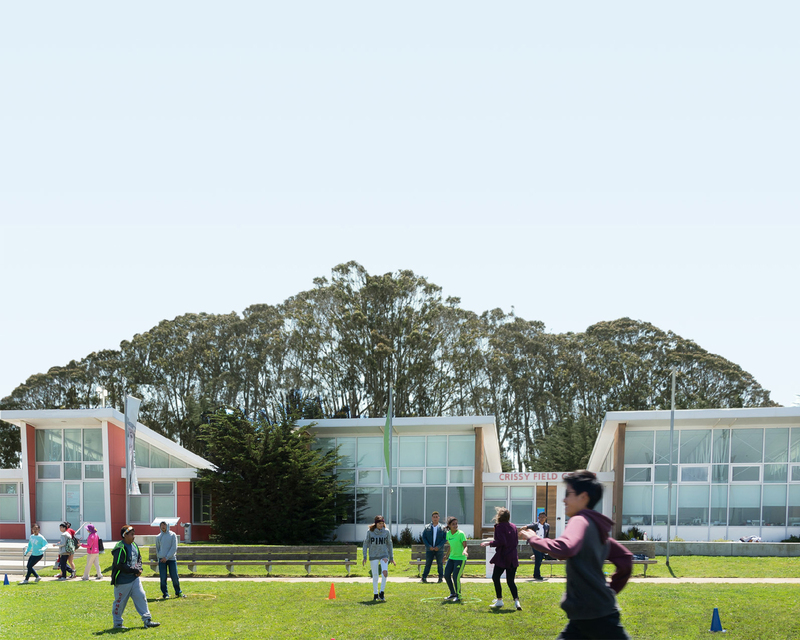 Help us make the San Francisco celebration the premiere event in the country by bringing your friends, family, and loved ones to this free event on Crissy Field. There will be an abundance of fun activities, including a rock climbing wall, obstacle course, and Zumba, as well as low-impact programs for all abilities, such as yoga, ranger-led walks, and a relaxation corner. We’re also excited to have local organizations showcasing their important offerings to the community. For example, San Francisco Department of Aging and Adult Services will be leading tai chi classes throughout the day to demonstrate this low-impact exercise. There will also be groups providing healthy eating and exercise tips, information on youth programs in parks, public transportation information, and free health screenings. Parks and public lands are free or low-cost resources in many communities and provide excellent areas to recreate and play. It’s no coincidence that National Park Prescription Day takes place on the last day of National Park Week. The National Park Service is devoted to elevating Park Prescription programs to show the American public the numerous health and community benefits of increasing their time in nature. “We are already seeing the enormous power of our outdoor green space to help combat our nation’s greatest enemies—chronic disease, obesity, mental illness, and social inequity,” says Capt. Sara B. Newman, Director of the Office of Public Health for the National Park Service. We hope that by offering this fun-filled day of outdoor activities, everyone in the Bay Area and beyond will see the impact that nature and parks can have on their health and wellbeing. Together we can create healthy parks, healthy people, and healthy communities. The San Francisco celebration of Park Prescription Day is being spearheaded by Healthy Parks Healthy People: Bay Area (HPHP: Bay Area), a collaborative comprising more than 30 park, health, and community-based organizations united by a vision to improve the health and wellbeing of all Bay Area residents, especially those with high health needs, through the regular use and enjoyment of parks and public lands. "This event celebrates the important commitment of park agency leaders to ensure the equitable park access and utilization that promotes health for all residents in the San Francisco Bay Area," said Curtis Chan, MD, MPH, Medical Director of Maternal, Child & Adolescent Health, Deputy Health Officer, San Francisco Department of Public Health. San Francisco Department of Public Health is the first city public health department to adopt Park Prescription programs. The Institute at the Golden Gate, a program of the Golden Gate National Parks Conservancy in partnership with the National Park Service, is the support organization for the HPHP: Bay Area collaborative. “Through the Institute’s Health program, we’re building partnerships between healthcare providers and park agencies to increase access and visitation to parks and to demonstrate the transformative benefits of nature to improve individual and community health,” explains Donna Leong, the Institute’s Health Program Manager. To stay up to date on all of the activities being offered by participating organizations, follow Healthy Park Healthy People: Bay Area on Facebook and RSVP to the event!